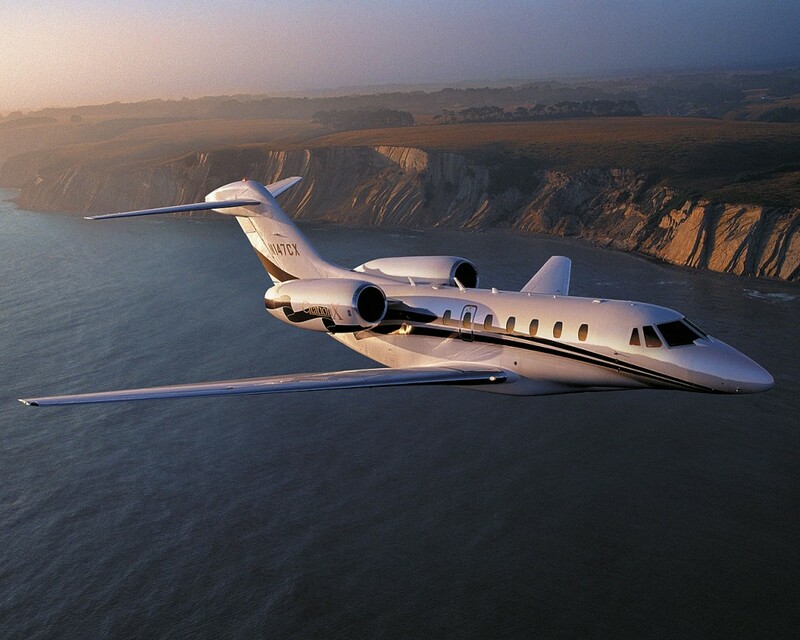 JetOptions specializes in private charters to Hawaii, and it is one of our clients’ favorite destinations. We fly private aircraft, executive jets, business jets and corporate jets to all the main airports in the Hawaiian Islands. Enjoy beautiful tropical weather, stunning geography, the vast diversity of ocean and nature adventures when you fly with us to the Aloha State. 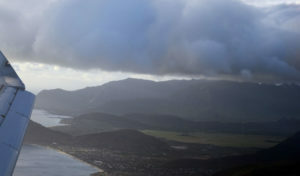 Fly by private air charter into or out of the third largest of the Hawaiian Islands, Oahu. This island is known as the gathering place, and it is home to the biggest city, along with the world famous surfing and shopping at Waikiki. When you are ready to escape the city’s busy pace, you can check out the peaceful North Shore. The home of world-famous beaches like Sunset and Banzai Pipeline. Honolulu International Airport, located on the island of Oahu, is the largest and busiest airport in the state. Located northwest of the city, it’s also one of the busiest airports anywhere with more than 21 million passengers each year. 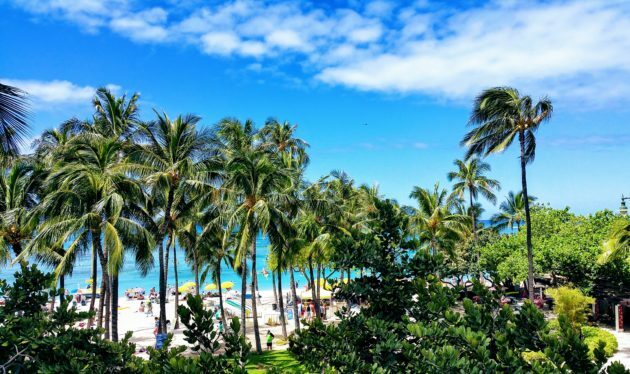 Conveniently located only three miles from Honolulu’s city center and four miles to the famous sands of Waikiki Beach this is a popular destination for business jet travelers and tourists alike. The majority of the air traffic at HNL is commercial aircraft, and about 16% is general aviation traffic, including private planes. There are three fixed base operators (FBOs) at PHNL to meet the needs of private jets. These include all-private jet terminals for passengers, aircraft fueling, and maintenance, U.S. Customs services for international travelers, and 24-hours of operation each day. A full complement of rental cars are available, as are ground transportation, town cars, helicopters, and limousine services onto your ultimate destination in the State of Hawai’i. You can depart from Los Angeles’s Van Nuys Airport by Super-Mid, Heavy Jet, or Airliner class charter aircraft. Our fleet has a variety of large jets with the flight range to cross the Pacific to your ultimate stay in the Hawaiian Islands. Remain in contact with in-flight WiFi, or just unwind with your loved ones as you jet off to a relaxing vacation. Maui is a perennial favorite island for visitors. With its centerpiece volcano and the lush jungle beauty of East Maui, you can escape far from the modern world with a trip to Hana to see the stunning waterfalls. The west side of the island has the popular districts of Lahaina, Kaanapali, and furthest west Kapalua. This side of the island is packed with resorts, from family friendly hotels to sophisticated five-star resorts. Maui Kahului Airport is on the Isle of Maui near the base of Mt. Haleakalā, the stunning 10,023 feet volcano that is a defining feature of this island’s geography. A popular destination and a busy airport, OGG has more than 1.6 million passengers arriving from Honolulu each year. You can make an inter-island transfer or charter and fly directly to Maui’s Airport on a private jet from the mainland. PHOG has two fixed base operators offering passenger services, customs services, aircraft fueling and maintenance, all rental cars, ground transportation, and helicopter services. Ke-āhole Airport is located on the Island of Hawaii. Formerly Kona International and Keahole, the airport was renamed in 2017 to honor astronaut Ellison Onizuka. With the second longest runway after Honolulu‘s PHKO airport is another international transit hub for jets crossing the Pacific Ocean. Kauai Lihue Airport charter and fly directly to PHLI on the Island of Kaua’i, the Hawaiian Island of Discovery. With only 10% of the island available to cars, the rest of the stunning nature scapes may only be experienced by hiking, kayaking, or in the air. Lihue Aiport has two long runways for international and inter-island flights at 6,500 ft. and a helicopter pad. Fly to Hawaii’s Lanai Island, the smallest accessible public island of Hawaii state. Under 97% private ownership, this island was a former pineapple plantation with only one town, Lānaʻi City. At twenty-four miles wide this island has no traffic lights and most of its landmarks are accessed by dirt road. With just a few luxury resorts and no shopping malls, Lanai is a uniquely peaceful destination. At Lanai Airport (PHNY) there is one runway of 5,001 feet and FBO services for private jets flying into and out of Lanai. Due to the distance, you’ll need a super-midsize jet or a heavy private jet charter to Hawaii because these aircraft have the range to make it from the west or east coast to Hawaii (about 2,200 to 4,500 nm). We also have ultra-long-range aircraft that can make the trip to Hawaii nonstop from anywhere in the world. Passenger Capacity 8 Baggage Capacity 82 Cu. ft. Passenger Capacity 12 Baggage Capacity 127 Cu. ft. Passenger Capacity 13 to 19 Baggage Capacity 195 Cu. ft.
Cabin Width 8.17 ft. Cabin Height 6.25 ft. Private jet charter rates to Hawaii examples are based on roundtrip travel returning next day. Prices (USD) can be used as a reference. Your rate will depend on your travel requirements and aircraft availability. Prices on private charter flight quotes will include all taxes and fees. JetOptions knows that the four-legged members of your family enjoy traveling as well. We have private jet charters to Hawaii that will allow the whole family to go to the Hawaiian Islands in comfort together and stress-free. And you don’t have to leave your pets at home since our aircraft are pet-friendly. We have locally based aircraft, transient aircraft, and floating private jet charter to Hawaii available for charter at all times. We offer highly competitive rates on private jet charters to Hawaii with the only the safest and best rated private jets. JetOptions offers empty leg jet charters and real one-way charter rates which are updated daily on our Jet Specials page. If you are planning to charter a private aircraft to Hawaii, please call our charter specialist at 888-535-9538. 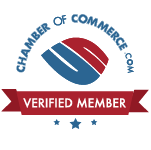 You can also send an email request to our charter experts, or fill out a private jet charter request form. We are available 24/7/365.